For those with agendas it’s advantageous and easy to blame individual cops, characterizing them as miscreants driven by racism or sociopathic tendencies. It’s just as easy to blame the law enforcement system, describing all 18,000-plus agencies and more than 800,000 sworn officers as purposely working above the law, flaunting legal doctrine, and turning a blind eye to, and even encouraging, abuse. For many, the Chicago Police Department and Officer Jason Van Dyke fit the bill: A heartless, cold, uncaring officer working for a deeply corrupt, racist, and criminally complicit police department. Van Dyke, they propose, decided to fire sixteen rounds into black teenager Laquan McDonald simply because he wanted to and knew he could get away with it. I ended my article last week writing that I would give my theory about why the event actually culminated with the officer firing his weapon, and why so many times. The following are my opinions based on experience and education that includes the science of human performance, and maybe more importantly, my interviews with hundreds of officers who have experienced life-or-death events. Officers who guarantee, that the experience is nothing at all like what is portrayed in movies and on TV. But, I was not there. So, I’m not saying my opinions are correct. What I’m doing is trying to be reasonable about what actually happened and why, based on the evidence of which, I am aware. Warning: If you’ve already made up your mind about why it happened, stop reading right now as it will be impossible to consider and evaluate critically as you read. First, I don’t think Jason Van Dyke is a genocidal racist who finally had his chance to execute a person of color. This opinion will anger those who want to believe Van Dyke is evil incarnate and representative of law enforcement officers nationwide. Second, I think he made tactical errors that raised his level of acute stress, which, subsequently, caused significant perceptual distortions and, what we refer to in our training as, cognitive deterioration. This phenomenon can result in a disruption in rational decision-making (decision decline) that leads, at times, to questionable behavior. This opinion will anger some police officers who see what Officer Van Dyke did as objectionably reasonable, unavoidable, and thereby justifiable under the Graham Standard. In several of our seminars we teach something called the Stages of Interaction. Essentially, it’s the natural cognitive progression (often done unconsciously) a person experiences during any encounter with another. Behave (behavior is dictated by decisions). Your observations affect your assessment of a person and/or situation. Assessments lead to judgement, judgement to decisions, and whatever you decide dictates your behavior. For police officers, that behavior can and does include how they communicate (verbally and nonverbally) to whether they should use force, what kind, and how much. It all begins with (1) observation. Bottom line: Your observations affects the entire process. So, it’s important to be good at doing it. Stress can significantly affect your observational capabilities. Generally, a person will see and hear more of the totality the lower the stress level. The more stressed you become, the more you might experience perceptual distortions. In particular, your field of vision narrows and your auditory abilities are restricted, which means your ability to comprehend is limited. In addition, the higher the level of acute stress the more likely it will deteriorate your cognition. In other words, (2) assessment and evaluation can be skewed. One thing that’s almost certain to raise stress levels is close proximity to a perceived threat. Such as a man with a knife acting violently. Through the course of my career both on the street and in the training of cops, I have found that officers, in particular male officers, have a tendency to move toward a person they need to control. Most often this is done unconsciously. They don’t even realize they’re doing it. This is important and a reality. It needs to be discussed and addressed in training. Not just words delivered in a class, but actual training. All in the profession must recognize this constant and real phenomenon. Because, the closer you are spatially, the more intense the interaction. The greater the intensity, the higher the stress. The higher the stress the more likely the interaction process will be distorted. This can lead to skewed (4) judgement and, thus, inappropriate (5) behavior. Being close to a man with a knife will make you feel vulnerable, which in turn will raise your stress levels. Under high stress a person’s senses may become so heightened that they may miss things they should have seen and heard because they are overloaded or stuck focusing on one thing rather than the totality. In contrast, under such high-stress, a person might see things and hear things that haven’t actually happened or at least, exaggerate internally, the meaning and purpose of things they do see and hear. I believe the moment Van Dyke fired his first shot he believed he was under threat. He subjectively believed that. He did not shoot McDonald because he wanted to commit murder. The problem for a jury is to decide if that subjective belief is objectively reasonable based on the immediate circumstances. 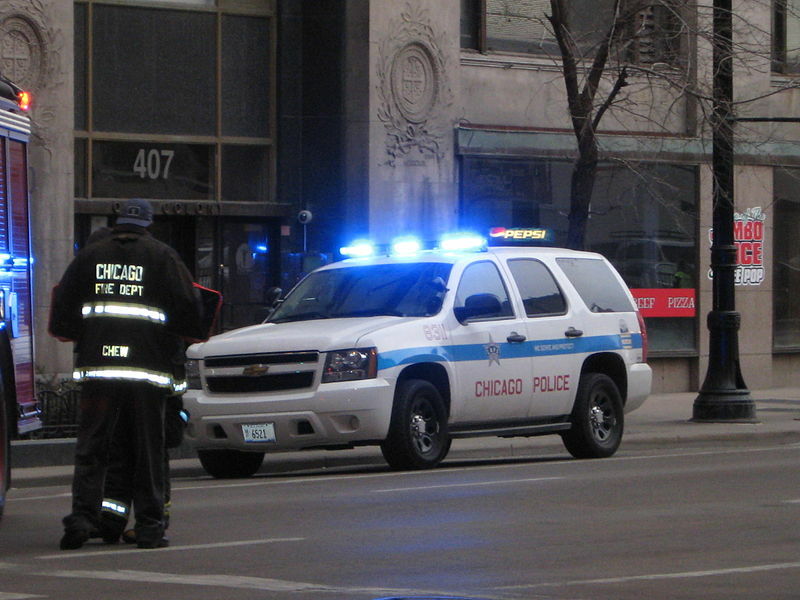 Laquan McDonald was exhibiting signs of derangement and danger. A 9-1-1 caller advised that the man was stealing from cars, brandishing a knife and in fact swung it at a civilian who confronted him. Minutes after the police encounter McDonald, he stabs the tire of a police car. All of his behavior—what he did, didn’t do, did say, didn’t say—coupled with the fact that he was using a knife in a violent fashion was certainly adding to the stress levels of officers on the scene. But only Van Dyke fired. Because, I think, he was so physically close. Arguably, too close for no true tactical reason. Van Dyke was unquestionably vulnerable at the moment he fired his first shot because of his proximity to a deranged, knife-wielding man. Though to most, that’s not what the video looks like. In the video McDonald seems to be walking past Van Dyke and hadn’t moved to attack. When I heard him say that, I interpreted that word “angle” as perspective, not really a physical position. Van Dyke described the man’s behavior. “His face had no expression. His eyes were just bugging out of his head. He had just these huge white eyes just staring right through me.” He then added that McDonald was waving the knife and angled it toward him. “I was yelling at him, ‘Drop the knife!’” Van Dyke at that moment was judging correctly; McDonald was unbalanced and immediately dangerous. At the time those observations, assessments and now judgements were being processed, McDonald moved from a position of 39 feet away from Van Dyke to 15 feet in about four seconds. McDonald, no matter what anyone says, was an absolute imminent deadly threat to Van Dyke. He could close that 15-foot gap in less than a second stab and slash. He could throw the knife. Van Dyke had to be cognizant of that reality. At that point, the first shot, the one that took McDonald down, was justified based on the totality. But, what if Van Dyke had stayed back? Cops learn that the best defense against an edged weapon is distance and barriers. You could argue those options were available. Would that distance have reduced the stress level of the officer? Would he have felt less vulnerable? If McDonald was in the parking lot of the nearby Burger King and that lot was full of people or if he was trying to get inside where civilians would be in danger based on his behavior, then moving towards him would be a necessity. That’s not the case here. The bigger problem for most everyone is the additional shots. I’ve addressed the first, but what about the subsequent fifteen? Trying to be as brief as I can here, the prosecution had an expert show on video an FBI expert marksman fire 16 rounds in 3.7 seconds. But the person testifying said that the marksman practices, inferring that a normal person couldn’t fire that fast. Nonsense. Anyone can pull a trigger on a semi-automatic handgun 3 – 4 times a second without formal training. And under high-stress, that’s probably what you’d get. So approximately eight rounds came out in very quick succession when Van Dyke determined he needed to shoot, though since there is no audio that’s in dispute. Then the other eight came after a pause. McDonald appeared to move the knife slightly once on the ground. Van Dyke, I believe, saw a man, still an imminent threat, attempting to get up with a knife in his hand. So he started squeezing the trigger again, under extreme stress. Another eight shots. Again, I think he’s talking about his unique perspective while experiencing massive stress that at that point may have been amplifying what was actually happening. If he was 25 feet away, would his senses have been less heightened? Would he have felt less exposed? Less vulnerable? And what would that do to his level of stress? Consider the jury not finding Van Dyke guilty of first-degree murder. “Second-degree was the mitigating factor that in Mr. Van Dyke’s mind he was doing the right thing, he was experiencing an extreme threat, in his mind that’s how he’s experiencing it, and he felt like he needed to protect himself,” one of the jurors said to the local media. It seems the jury recognized that Van Dyke, justifiably or not, was experiencing a stress that affected his perception. He therefore reacted out of fear, rather than malice. An interesting suppose: What if Jason Van Dyke only fired one shot and McDonald died from it? And it was on video. What would that verdict have been with the same jury? Murder or justifiable? My problem with what is going on in this country right now – and in law enforcement—is that’s what people want: simple. Problem is, it’s just not. Human beings commonly behave irrationally. Sometimes they are armed, dangerous, deranged, drugged, and need to be dealt with, so the public calls the police. The cops are expected to deal with all of those people in such a manner that no one gets hurt. That’s as ridiculous as it is unrealistic. On the law enforcement side we provide limited training to officers in the understanding of sudden onset acute stress. We do even less training in experiencing and performing under this type of stress—the highest stress imaginable. Then too many police administrators act shocked when officers make mistakes or behave unprofessionally in such events. Again, ridiculous and unrealistic. So elements of all sides find it easier to make it simple: Condemn and characterize all unacceptable behavior as resulting from bad intentions. It’s damn nonsense and, as I said in the beginning, counterproductive to achieving necessary change. Jason Van Dyke, from everything I could read, is not a racist. I’m not excusing the 16 shots by saying that, but if we want to believe that everything is racist, or because of evil and callous cops and systems, then nothing will change when something should. Knowing this while writing this column, I doubted many would read it with an open mind. It’s just easier not to. Lt. Jim Glennon (ret.) is the owner and lead instructor for Calibre Press. He is a third-generation LEO, retired from the Lombard, Ill. PD after 29 years of service. Rising to the rank of lieutenant, he commanded both patrol and the Investigations Unit. In 1998, he was selected as the first Commander of Investigations for the newly formed DuPage County Major Crimes (Homicide) Task Force. He has a BA in Psychology, a Masters in Law Enforcement Justice Administration, is the author of the book Arresting Communication: Essential Interaction Skills for Law Enforcement.